The Perlingieri vineyards are in Solapaca, which is near Monte Taburno, at around 300 meters above sea level. 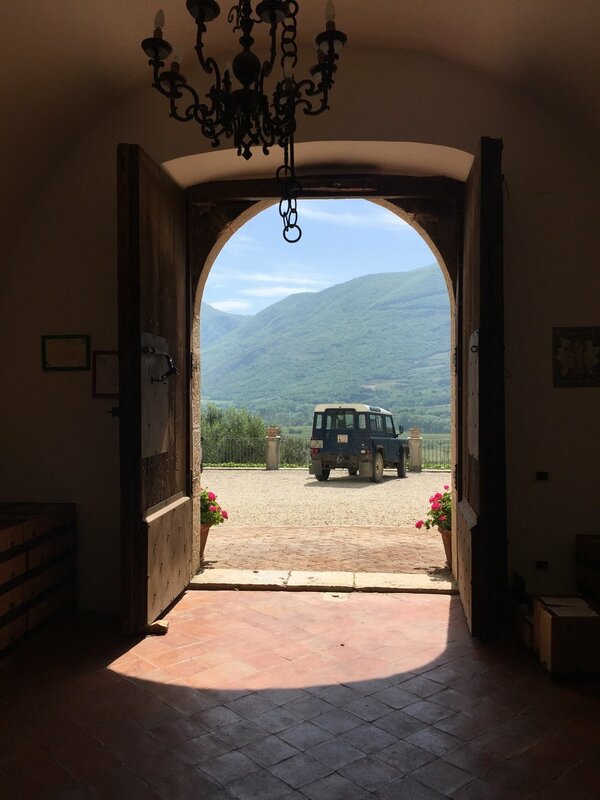 Their wines are made in the cellar of a beautiful old stone house they’ve restored, not far from their vineyards and the house is on their label. The wines are made by Alexia with evident passion and attention to detail, for example, the grapes are checked on a sorting table after being de-stemmed in order to remove leaves and bits of stem, a technique that is normal for very expensive fine wines but not at all common in this area, or at this price. Campania is now my favorite Italian region for white wines. Yes, they make great red wines there, especially from Aglianico, but the breadth and brilliance of the whites is unique. Among the great variety of interesting white grape varieties grown in Campania are two different cultivars with the name Falanghina; Falanghina Flegrea from the Campi Flegrei (near Naples), and Falanghina Beneventana, from around Benevento, to the north-east of Naples. Both of these varieties can make delicious, distinctive wines, but the ‘cut’ and minerality of the Beneventana is particularly mouthwatering. As is the often the case here in Campania, the wines don’t taste like they’re from a warm southern climate, in that they have excellent bright acidity and a strong mineral character. 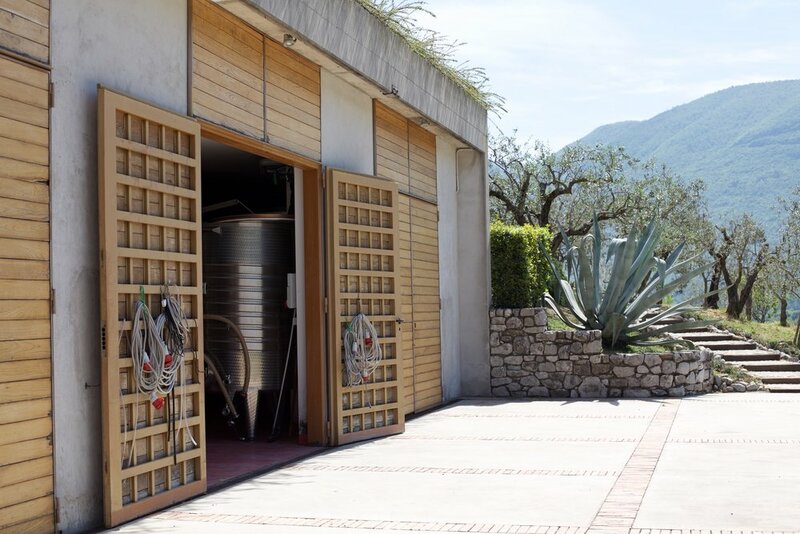 Alexia produces the Benevento type of Falanghina, along with the better-known Campanian varieties Fiano and Greco. 100% estate-grown Falanghina Beneventana grapes, grown in a clay soil of partly volcanic origin with many stones at a density of around 5,000 plants per hectare, and typically picked in early September. Yields are extremely low, around 1 1/2 tons per acre. The bunches are de-stemmed and run through a sorting table to remove bits of leaves and stems, then macerated for a few hours, pressed, and vinified at controlled temperature in a stainless steel tank (no oak, no malo-lactic fermentation). The wine is aged for 7-8 months in the tank, then bottled. 'There’s a lot of great Falanghina in the U.S. but this one just has that marcia in più, that extra something special. Its acidity and citrus flavors were zinging last night (paired with burrata). But it was its intense minerality that really made it stand apart in my mind. I LOVE this wine.’ -- Jeremy Parzen, from the excellent blog Do Bianchi. I found it to have citrus and herbal notes, along with the minerality Jeremy mentions. Its a delicious, bright and flavorful white wine; one of Campania’s classic whites. 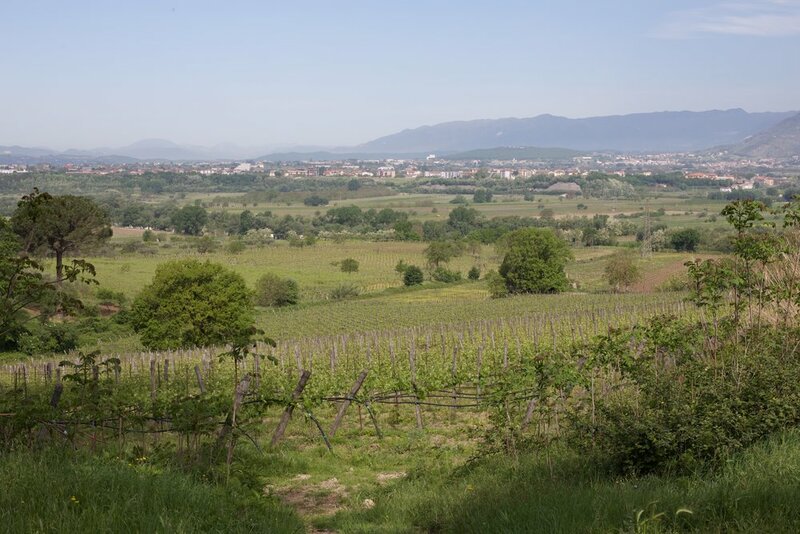 100% estate-grown Greco (which is to say the same variety as is used for Greco di Tufo), grown in clay soil of partly volcanic origin at a density of around 5,000 plants per hectare, typically picked in early September. Yields are extremely low, around 1 1/2 tons per acre. The bunches are de-stemmed and run through a sorting table to remove bits of leaves and stems, then pressed, and vinified at controlled temperature in a stainless steel tank (no oak, no malo-lactic fermentation). The wine is aged for 7-8 months in the tank, then bottled. Ian d’Agata says ‘Typical aromas and flavors include yellow flowers, honey, peach, pear, and ripe tropical fruit…’ and he also mentions an almost oily mouthfeel that is typical of Greco. 100% estate-grown Fiano, grown in stony, clay soil of volcanic origin planted at 4,000 plants per hectare. Yields are extremely low, a little more than 2 tons per acre. The bunches are de-stemmed and run through a sorting table to remove bits of leaves and stems, then macerated for a few hours, pressed, and vinified at controlled temperature in a stainless steel tank (no oak, no malo-lactic fermentation). The wine is aged for 7-8 months in tank, then bottled. Fiano is a distinctive, indigenous Campanian variety, that at its best it resembles this one, which smells and tastes of green apple, lavender honey, herbs and citrus peel.